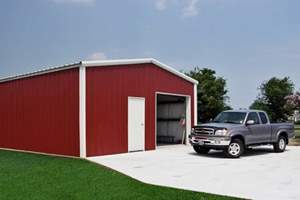 Whether you’re a homeowner adding a shop to your property, a classic car collector in need of a garage or a farmer needing a barn for equipment storage, prefab steel building kits are an affordable & economical solution. Details on pricing, planning and erecting your new building are detailed below. 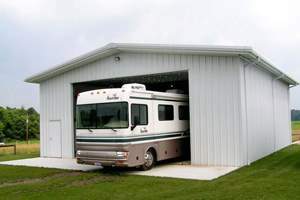 Solid metal kits offered by our suppliers are precision engineered in the factory and are delivered across the US & Canada with instructions and all the relevant hardware – allowing you to erect your new building in as little as two days. 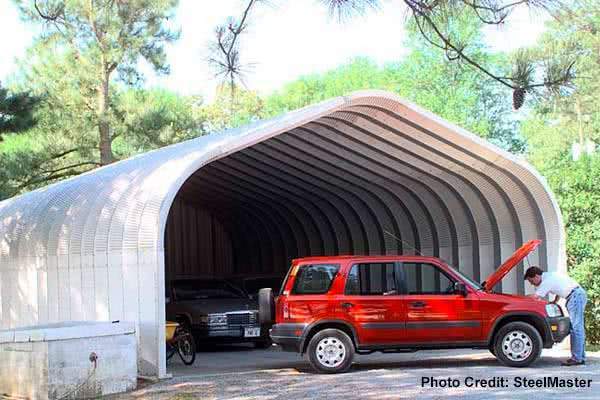 Quonset Huts have several benefits differing them from their rigid frame counterparts. Erecting these structures extremely straightforward as mechanical lifting equipment is not required. The buildings package arrives pre-drilled and pre-punched, leaving you with the simple task of bolting the arch panels together. 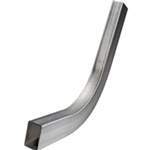 The rounded arch shape not only allows for ease of construction but is extremely durable. The shape helps it stand up to the harshest winds and winter snow storms. In addition to outstanding durability and ease of construction, Quonsets are cheaper than rigid frame buildings by as much as 30%. Only basic maintenance is required over decades, allowing you to continue to save money over the life of your building. Similar to Quonset Huts, our rigid frame buildings are extremely durable and built to last. A big reason for this is the profile & gauge of steel used. While the big box stores supply buildings made with tubular steel, all of our structures are made with solid steel framing members. Don’t confuse the two – you may live to regret it! Tubular steel is exactly that: Tubular! It’s a lightweight, hollow and not a suitable solution for most areas of North America. The max snow load it can handle is just 30 lbs per square foot, while only withstand winds up to 50 mph. 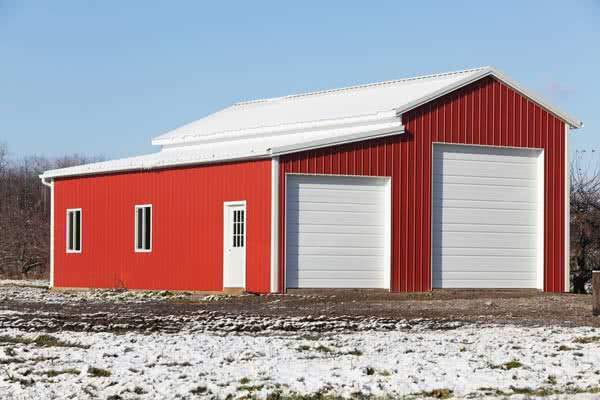 The steel used in our rigid frame buildings is much sturdier and engineered to withstand weather conditions in every corner of the U.S. and Canada. Withstanding winds of 180 mph and snow loads of 120 pounds per square foot, solid steel really is the only choice for a safe and dependable structure. Also, most of our suppliers offer 35-50 year structural warranty guarantees. 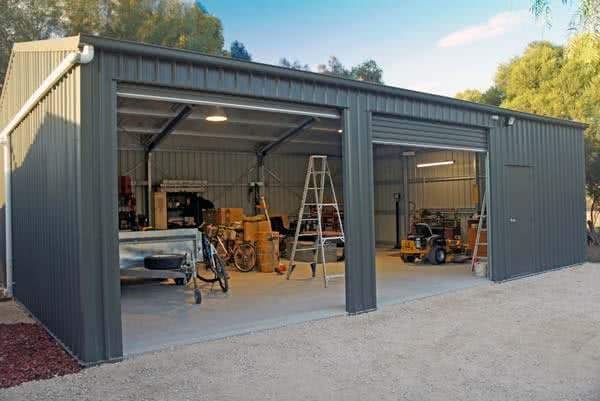 Buildings come in a variety of sizes and kit prices can range from as little as $5,000 for a simple 30×30 self-build garage to approximately $30,000 for a 40×60 workshop. Usually, the larger the building the cheaper it is per square foot. Price can also be reduced by minimizing the number of accessories, such as doors, windows or insulation. For rough estimates, see our estimate calculator. While these are some of the more popular sizes of prefab kits, custom sizes are also available so you can be sure to get a structure that fits your available space perfectly. Protection – The stable interior climate provided by a pre-engineered structure protects against rust and corrosion of the exterior finish, and mold growth on the interior. 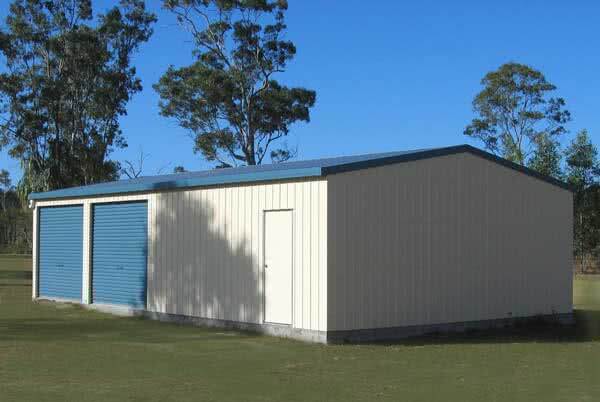 Your stored goods will be well protected in a small metal building. Environmental – It’s one of the most environmentally friendly alternatives to timber on the construction market. As a 100% recyclable material, most manufactured steel today also contains an average of 25% recycled content. Keep landfills free of construction materials and reduce your carbon footprint. Find out everything you can about the local and regional building codes and processes for obtaining a permit (more information on this below). Be sure you will be able to do what you want to do with your home, and buildings constructed from kits are not going to contravene local codes. Be sure to speak with a local planning officer before you purchase your building. Determine what will be required for utilities such as cable, gas, and electric lines to reach your site. Will you require a septic tank? Do you need a filtration system? If you need a well, how deep must it go and how much volume should it contain? Are there trees that need to be removed, and if so, are there any special environmental regulations concerning that? Are there a lot of rocks and boulders—particularly hidden ones—that will need to be removed before you can pour the concrete foundation? Do you want your building to follow the architectural style and details of your home, or to have a unique appearance as a standalone structure? With unlimited finishing options — from brickwork to masonry, stucco, wood or metal siding, and a myriad of paint colors to choose from, kits can be customized to satisfy your every architectural desire. Steel framing is coated in the factory to protect it from rust during storage and transportation. Zinc galvanizing is the most common form of protection to prevent corrosion and can protect it for as long as 50 years depending on its thickness and the environment in which it is placed. However, extended contact with water in the form of rain, condensation, or fog can corrode zinc over time. Take steps to ensure there are no gaps or holes in walls that will allow moisture to build up inside wall cavities and damage the framing. – Typical issues a building inspector looks for include electrical wiring, the durability of the roof for the climate in which you are living, earthquake safety and structural elements of the building. Before you begin, you will need to prepare the construction site by leveling and grading as needed, then excavating and adding at least a 4-inch thick layer of compacted gravel. The gravel can be compacted with a tamper, ensuring the foundation is flat using a level and a long, straight 2×4. You may want to apply landscaping fabric under to gravel to limit the growth of weeds. From there, you will need a 2”-4” deep base for a poured concrete foundation. The first step in assembling most kits is the floor. Keep in mind where you would like the door to be located during this step and try not to fasten any of the parts together until you have laid everything out on the ground. Always wear thick work gloves when handling the kit parts as the edges can be sharp. If your kit suggests it, anchor the floor to the ground of the site. Once the floor is secure, you can begin installing the wall panels by following specific directions from the manufacturer. Most panels are pre-drilled for fasteners and can be easily constructed by ensuring the fastener holes align between panels and with the floor. Attach the wall panels using fasteners, taking together mating corner panels on at least two adjacent corners. Fill in the wall panels between completed corners, attaching them to the frames with fasteners. To assemble the roof, lay out the roof beam parts and the side frames, using fasteners to connect the parts together. Fasten the panels to the top frames, ensuring the fastener holes are aligned. Fasten the door frame trim pieces to the frames to finish the door opening. Take extra precaution to not overdrive the fasteners. Insert the building gable panels into the side frames and the door track, sliding them together so the fastener holes are aligned. Then fit the main roof beam into the clips of the gable panels. Now install any supplementary support hardware for the beam, like gussets or angle braces. 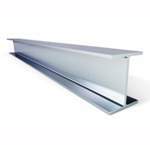 Then attach the roof panels to the roof beam and the top flanges of the side frames. Before you attach the overlapping roof panels, apply weather-stripping tape to the top ends to seal the joints. Any adhesive-backed foam tape available from most hardware stores can work, or your kit will provide it. Finally, you will install the plywood floor and assemble/attach the doors. – Touch up scratches or any exposed metal as soon as possible to prevent rust. Clean the area with a wire brush and then apply a paint recommended by the manufacturer. – Inspect your structure at least once a year. Tighten loose screws, bolts, and other hardware. Loose connections lead to premature wear. – Sweep off the roof to remove wet leaves and debris, which can be hard on the finish. Also, clear the roof after a heavy snowfall to reduce the risk of collapse. – Seal open seams and other potential entry points for water with silicone caulk. Keep the structure’s doors closed and latched to prevent damage from wind gusts. How large can the building be before it requires professional construction? 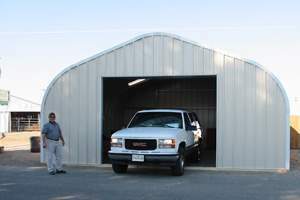 Most small steel buildings and kits up to 10,000 square feet can be done without the help of a contractor. How easy are building kits to construct? Building kits can be erected easily in just one weekend with a few friends, some lifting equipment and the right tools your new structure will be assembled and ready to use in no time. Components are cut with laser-like precision and fit together as easily as puzzle pieces to ensure fast & simple assembly. Full instructions are included along with clearly numbered parts. Should I choose a custom sized kit to fit my exact space, rather than a slightly larger standard sized kit? Whenever possible, buy a standard sized kit over custom! For one, you WILL use the space, even if you don’t have a vision for how quite yet. And, standard sized kits are considerably cheaper than having to have a custom sized kit manufactured for you. Everything you need to correctly assemble and start using your new prefabricated building! That includes: Stamped architectural drawings, siding, and roofing panels, numbered parts, screws, brackets and an instruction manual. Steel building kits offer both flexibility and cost savings compared to conventional construction methods. Get up to four price quotes for your project today.